The Dodgers’ minor-league season has come to a close. Triple-A Oklahoma City, High-A Rancho Cucamonga and Low-A Great Lakes are all in the playoffs, but the regular season is over for everyone else. Last year, Corey Seager and Jharel Cotton were my hitter and pitcher of the year. Seager struggled a little in Triple-A, but he was still able to post a respectable slash line overall (.293/.344/.487). And he has been really great in the majors so far. He’s obviously the best hitting prospect in the system, but this award isn’t about the best prospect — it’s about the best minor-league performer for the season. Cotton pitched for every full-season team as he started the season on the disabled list with a fractured wrist. The layoff didn’t hurt him much as he posted a 2.95 ERA and 10.7 K/9 in 95 2/3 innings. Both players were runners-up to the winners. Without further ado, here they are. It was somewhat of a down year offensively in the Dodgers’ minor-league system. Some guys who had performed in the past didn’t improve. Some guys who were expected to improve didn’t. The one guy who stuck out most was Cody Bellinger. The Dodgers’ 2013 4th-round pick, Bellinger played his age-19 season in the hitter-friendly California League. He came into the 2015 season having hit just four home runs in 428 career plate appearances. With the Quakes, he showed the power potential he is capable of. He led the Dodgers’ minor-league system with 30 home runs and also added 33 doubles and four triples. He was the fifth-youngest player in the California League by the end of the season, and he definitely out-performed expectations. The power came at a cost, as he struck out nearly 30 percent of the time through July. In August and September, though, he struck out 22 times in 117 plate appearances (18.8 percent) while hitting 10 home runs. He also slashed .333/.402/.707 from August on. He dealt with a wrist injury after being plunked, but he obviously recovered from it. Bellinger has established himself as one of the better offensive prospects in the system. He has some of the fastest hands and generates a ton of bat speed. 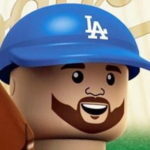 His defense at first base is already MLB-ready, and he’s athletic enough that the Dodgers put him in center field for 26 games (21 starts), and he fared pretty well out there. I’m not sure he’s a center fielder at the next level, but having a 1B/OF profile isn’t the worst skill-set to have. 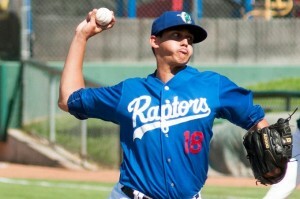 One of the runners-up to Cotton last year, Jose De Leon‘s ascension through the Dodgers’ system has been remarkable. A 24th-round pick in 2013, De Leon struggled at the outset of his career. A wake-up call in spring training 2014 proved to work for him, as he has been lights out the last two seasons. He began 2015 in Rancho Cucamonga, and he made California League hitters look silly to the tune of 1.67 ERA, 6.2 H/9, 1.9 BB/9, 13.9 K/9. After 37 2/3 innings, he was promoted to Tulsa, where he was good, but he also had some struggles. He was bitten by the home run ball, as he gave up 11 in 76 2/3 innings. For context, he had given up four home runs from the beginning of 2014 until he was promoted to Double-A in 2015. He also wasn’t as sharp, as his walk rate “ballooned” to 3.4 per nine innings. Despite that, he was still able to miss bats (12.3 K/9). Also, his strikeout percentage was still an elite 33.1 percent and his K%-BB% was 24 percent. He was still dominant at times, but not as much as he was in the lower minors — which is absolutely to be expected. He adjusted to Texas League hitters and had some dominant outings. 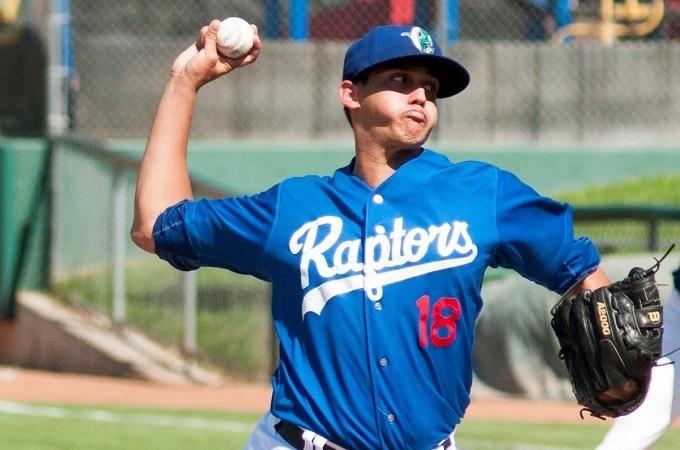 De Leon is one of the best pitching prospects not named Julio Urias in the system. He doesn’t have extremely overpowering stuff, but he knows how to use it and has deception in his delivery. His fastball is a low-90s pitch that touches 96 MPH, a devastating changeup second to only Cotton in the system and a slider that flashes plus at times. Coming up next week, my All-Prospect team. That should be reasonably fun.